I stopped in at White Rose Estate in the Dundee Hills and tasted with winemaker Jesus Guillen. The property has been beautifully landscaped since my last visit and the tasting room was buzzing with eager consumers. The tasting room is unique for the Willamette Valley, offering no windows to view the outside, encouraging visitors to seriously concentrate on the wines. The tasting room is open daily at 6250 NE Hilltop Lane in Dayton ($15 fee applies). Stems were lignified in 2014 so the wines have a high percentage of whole cluster. 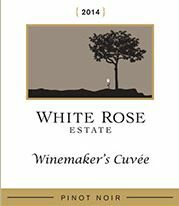 Whole cluster adds interesting aromatic features and textural character that makes the White Rose Estate wines highly distinctive. 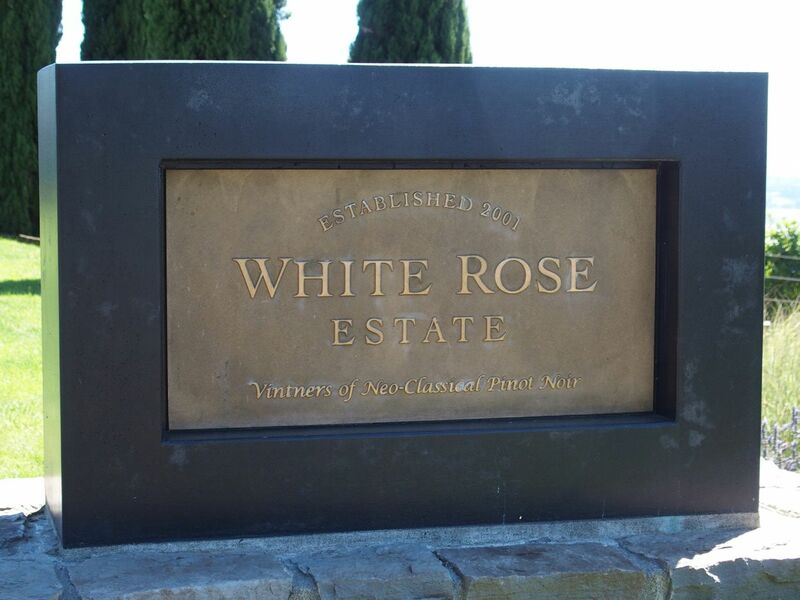 White Rose Estate is currently offering a number of Pinot Noir wines that were not available for tasting when I visited: 2014 Willamette Valley Pinot Noir, 2014 La Dolce Vita “20% Stem Inclusion”, 2014 La Dolce Vita “80% Stem Inclusion,” 2014 Luciole Vineyard “20% Stem Inclusion,” 2014 Luciole Vineyard “80% Stem Inclusion,” 2014 Guillen Vineyard, and 2013 bottlings from Anderson Family, Beacon Hill, Luciole, Vista Hills, and White Rose vineyards. Visit the website to purchase at www.whiteroseestate.com.